Presiding over a hearing at Westminster Magistrates' Court in London, Judge Emma Arbuthnot described the case as a jigsaw puzzle with different pieces of massive evidence to be put together to paint a picture, which she said she was now able to see more clearly than a few months ago. 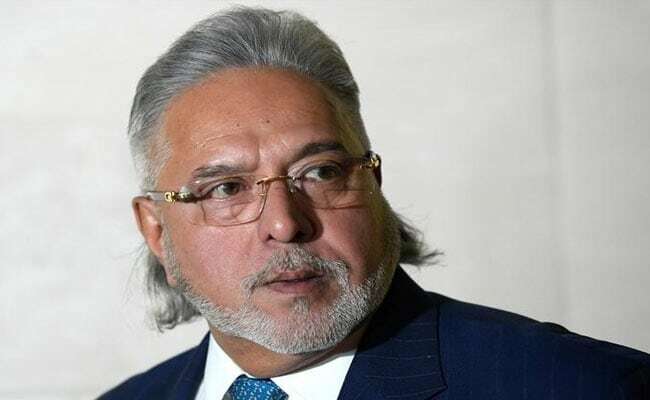 The British judge hearing the extradition case of liquor baron Vijay Mallya today said that it was blindingly obvious that rules were being broken by Indian banks which sanctioned some of the loans to the erstwhile Kingfisher Airlines. There are clear signs that the banks seem to have gone against their own guidelines [in sanctioning some of the loans], she said, inviting the Indian authorities to explain the case against some of the bank officials involved because that relates to the conspiracy point against Mallya. The 62-year-old businessman, who is on trial for the UK court to rule if he can be extradited to India to face charges of fraud and money laundering amounting to around Rs 9,000 crores, watched the proceedings from the dock. The Crown Prosecution Service (CPS), arguing on behalf of the Indian government, laid out their arguments against the defence calling into question the admissibility of some of evidence submitted by the Indian authorities. Pointing out that Mallya had chosen not to give evidence in the case, CPS counsel Mark Summers rejected the defence claims on the evidence as nonsense. The government of India has established by other copious evidence a prima facie case of fraud, he said. The judge is expected to rule on the admissibility of evidence and set a timeframe for her final verdict. However, the matter could be delayed over further clarifications required on the source of some of the emails submitted as evidence by the Indian authorities. Mallya's counsel, Clare Montgomery, argued that evidence that was claimed as a blueprint of dishonesty by the CPS was in fact privileged conversation between Mallya and his lawyer about legal advice in clear contemplation of litigation and hence should be inadmissible. On a separate category of evidence presented by the Indian government, Mallya's team questioned the reliability of investigating officers in the case and pointed to over 150 pages of near identical material purporting to be statement of witnesses taken under Section 161 of the Indian CrPC. The judge did not seem to be convinced by this argument and said she had found only two-three cases of mistakes but did not see a problem in the preparation of the statements. The CPS indicated to the judge that the government had provided all the necessary clarifications along with photographs of the two cells that comprise Barrack 12. The extradition trial, which opened at the London court on December 4, is aimed at laying out a prima facie case of fraud against the tycoon, who has been based in the UK since he left India in March 2016. It also seeks to prove that there are no "bars to extradition" and that Mallya is assured a fair trial in India over his now-defunct Kingfisher Airlines' alleged default of loans from a consortium of Indian banks. The CPS, representing the Indian government, has argued that the evidence they have presented confirms dishonesty on the part of the businessman and that there are no bars to him being extradited from the UK to face Indian courts. Mallya's defence team has deposed a series of expert witnesses to claim he had no fraudulent intentions and that he is unlikely to get a fair trial in India.